We all know that exercise is physically good for our bodies. After all, that is the #1 reason why people are motivated to exercise in the first place…But what most people do not know is that exercise can also be beneficial for our brains, more specifically regarding cognition (the way we process and memorize information). A brand new study published in the British Journal of Sports Medicine (February of 2018), looked at the role of exercise as a way to prevent or delay the onset of cognitive decline (a reduction in our ability to process information/knowledge or sustain our memory) in individuals 50 years of age and up. So, it turns out exercise is not only beneficial for making sure you look good in your favourite pair of blue jeans… it can also get your Brain in shape as well ! 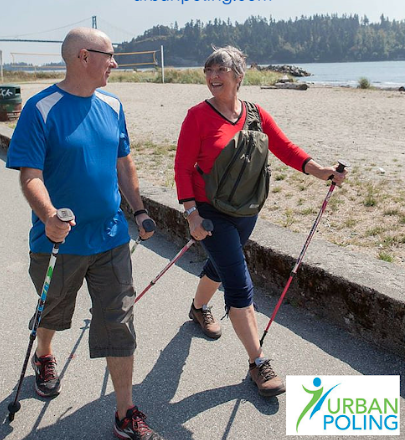 If your wondering how you can implement more combination exercise into your life to train both Body & Brain, Urban Poling aka Nordic Walking would be a great start. While using specialized walking poles, you are taking walking and making it a total body exercise. The poles engage the arms, upper/mid back musculature and most importantly the core ! Our ergonomic CoreGrip handles are perfect for targeting the abdominals. In fact, while pressing down on the ledge of the handle as you walk, 1 km is equivalent to 1000 abdominal contractions ! 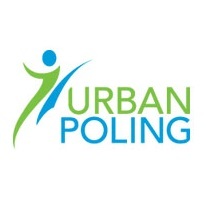 So you can say bye bye to those painful Sit-ups and hello to Urban Poling. Lastly, the rhythmic nature of the sport adds another layer to Train your Brain while maintaining coordination and mastering the technique ! To see Urban Poling in action, watch this stunning 360° Drone view on a great Canadian Trail !